In New York, we believe that all people – regardless of their gender identity or sexual orientation – deserve the same rights and protections under the law. From Stonewall to marriage equality, our state has been a beacon of hope and equality for the LGBT community, and we will not stand idly by as misguided legislation replicates the discrimination of the past. As long as there is a law in North Carolina that creates the grounds for discrimination against LGBT people, I am barring non-essential state travel to that state. Gov. 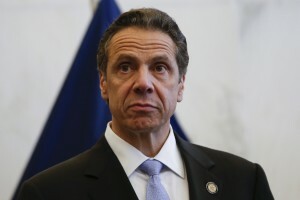 Cuomo took the same action last March when Indiana considered a similar bill. That bill still passed, but only after Gov. Mike Pence – following public outcry and the actions of other governors such as Cuomo – sent the bill back to the state legislature for a reworking. It’s final version is still controversial. Governors and other states have been taking action to hit states such as North Carolina and Georgia where it hurts – the purse. They are welcome to their laws, but they have no right to revenue from outside sources.